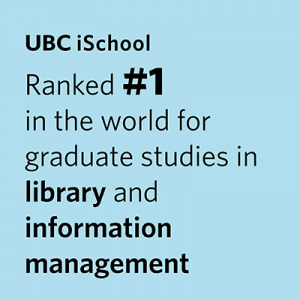 UBC iSchool is an internationally ranked, multi-disciplinary school, offering one-of-a-kind graduate programs. The iSchool also contributes to the UBC’s Bachelor of Media Studies undergraduate program. 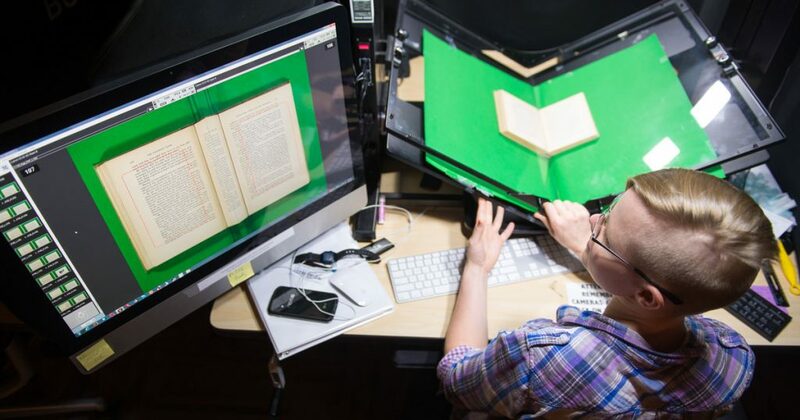 The iSchool is one of a few schools in North America offering a stand-alone archival program, and is ranked first in the world for graduate education in library and information management. The iSchool offers a research-intensive study environment with international partnerships, competitive funding, at one of the top 20 public universities in the world. Although at a large university, iSchool students have ready access to their professors, and a large variety of work-based learning opportunities at local, national and international organizations. The iSchool’s Master of Library and Information Studies program is ALA-accredited, and alums work at organizations across the globe. The University of British Columbia (UBC) is ranked as one of the top 20 public universities in the world, and one of the top 40 universities in the world overall. According to the Times Higher Education University Rankings, UBC is 34th in the world, and one of three Canadian universities in the top 50. UBC faculty, alumni and researchers have won seven Nobel Prizes and 67 Rhodes Scholarships, while two alumni have gone on to become Canadian prime ministers. Explore our programs and courses, and start your journey with UBC iSchool.